We couldn’t be more excited that Christmas is upon us. We’re decking our halls, hanging the stockings and jingling our bells in anticipation for the big day. As it’s the most wonderful time of the year we wanted to help get the most out of it. So here are our top things to do on Christmas day. It’s not too late to set a secret Santa up for everyone who will be at your house on Christmas day. Set a small budget and a theme – perhaps all gifts must be under £5 and hilariously funny joke gifts. Whether your family is a traditional Monopoly family or prefers a bit of trivia, we think games are a must on Christmas day! 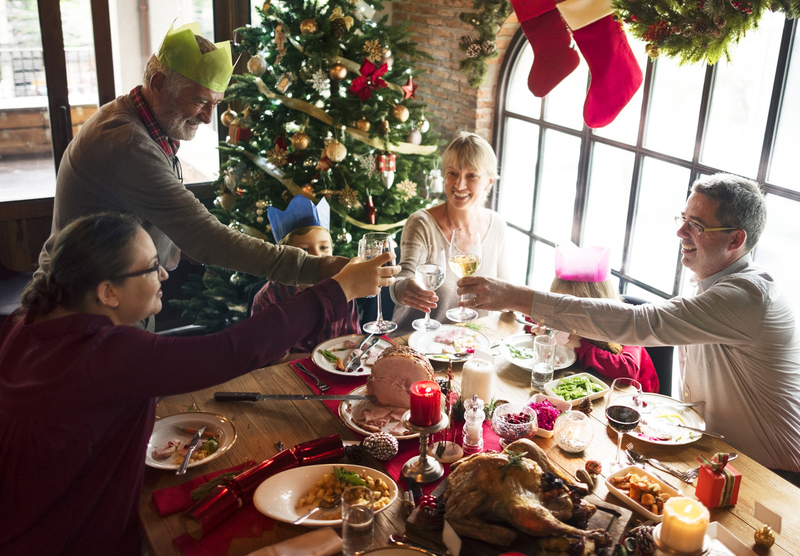 If you’re yet to add this fun tradition to your Christmas day festivities, you’re missing out. 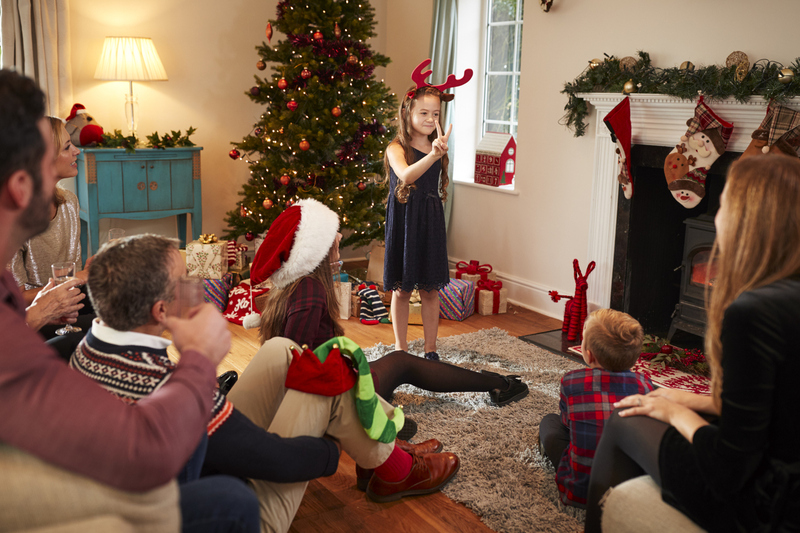 Yes, be prepared for board flips, arguments and intense frustration – it’s all a part of Christmas. This is the time where everyone has eaten far too much, food babies are out and about, and the Baileys and whisky are in full flow. 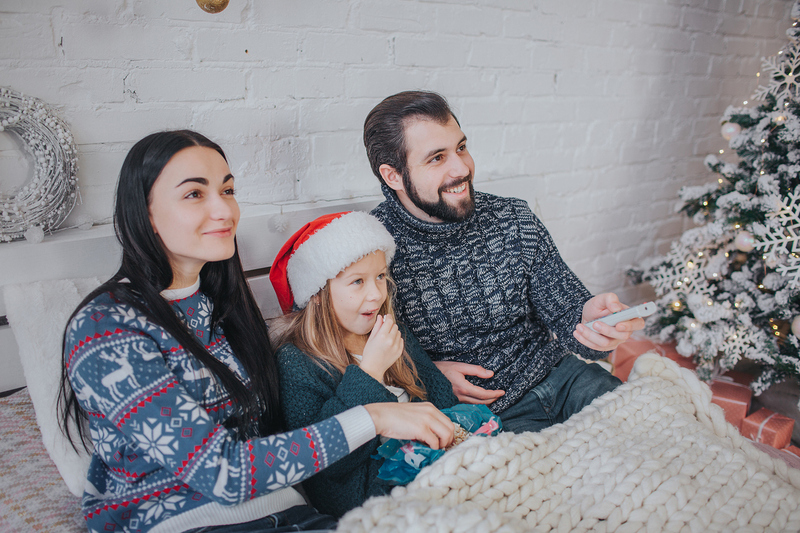 Pick a Christmas favourite – we love Home Alone or Love Actually and hunker down in the living room with blankets, pillows and fairy lights. Dad is sure to fall asleep and start snoring, and someone will be eating popcorn far too loudly, but that’s what it’s all about. I mean, come on, this one is a given. Christmas is the one time of the year where we all become glutens. It’s the time of the year where anything and everything goes – chocolate and cheese, sure. If you’re going to do it, you must do it right. Be sure to start off with a fairly light breakfast; in preparation for the main event of course. After you’ve stuffed yourself with your roast dinner, dessert is a must. Then we advise that you give yourself at least an hour or so to feel full but not stuffed. Then it’s selection box chocolate time, followed by cheese glorious cheese, followed swiftly by a lot of snacks, crisps and dips. We’re talking going ALL out. It’s Christmas after all. So, they’re our favourite traditions, what are yours? Let us know in the comments below – we’d love to hear! We hope you have the most wonderful Christmas – filled with all the best things and people in life. As we’re sure you’re aware, it’s Black Friday week! We thought we lend you a little hand and let you in on all the sales happening across our clients onsite – and, boy, they’re good. We’re going to give you a little something that will suit every need and taste, so get your wallet at the ready and get ready to shop Black Friday style. Whether you’re looking for those AW18 lines, want to kit out the family for next year or really fancy being that cute couple with the matching Christmas jumpers, we’ve got you sorted. Lands’ end has a huge range of clothing for the whole family – and its top quality. This Black Friday week – as in, right now – they have 40% off full price items across the whole website. That’s not up to either – it’s a solid 40%. If it’s the girls you’re looking to buy for, Yumi has a beautiful selection of clothing for women and girls and they’re offering up to 60% of selected lines this week. Looking to suit up in time for the festive season lads? Moss Bros have you covered (in the most stylish suits around) with an extra 20% off everything sitewide. What’s better than discounted food? Erm, maybe discounted alcohol! Rude Wines have some unmissable deals on their wine selection this week, with some cases offering savings of 40%. What’s not to love? If you’re hoping to have your living room fresh in time for Christmas and can’t find anywhere that guarantees delivery and fitting in time for Christmas, we have the place for you. United Carpets and Beds have up to half price off on beds, carpets and mattresses. Plus, they ensure they’ll have your carpet fitted in time for the big day. Fancy some décor that’s a little bit different from the usual boring homewares? Culture Vulture has a delightful 25% off different categories all week long. Don’t miss out, head over there now. Protocol Beauty is known for their expertise in collagen – that’s the stuff that makes your skin feel and look more youthful. Their Black Friday deals are still a big surprise, but they’re advertising some big expectations. Head over to their site to have a little look at what you might like when the discounts drop. Looking to keep that cold at bay this year? Now, you may not think about spending your hard-earned cash on medication this black Friday, but you’re wrong not to do so. Let’s be honest, you’re bound to get a winter cold right? Medication is expensive! So, get yours on sale this week at Pharmacy First and prepare for that likely event. They’ve got a random, but impressive, up to 62% off. With Christmas coming up, it’s the best time to use Black Friday to your advantage and get some great bargains on those gifts. Head over to Angels Face for the cutest little girl’s tutus. Your little girl is sure to love a handcrafted tutu or a pretty new dress to show off to the family at Christmas time. They’re offering up to 80% off – we know, it’s an unmissable deal. Buy your lady (or treat yourself girls) a beautiful set of lingerie or maybe even opt for something a little kinkier. Either way, Playful Promises have an incredible collection of lingerie to choose from. They’ve got a bunch of sales across site right now – including great discounts on their famous Gabi line. Trim and tame that beard in time for Christmas lads. If you’re yet to invest in some high-quality shaving equipment, now’s your change. Pop on over to Executive Shaving’s website for a sneaky 25% off their incredible products.